Reading and reviewing a 20 year old book on the state of Indian affairs in the poorest of rural areas is tough. On one side, it is fascinating to see that nothing much has changed in the state of the rural poor especially in the poorest districts where the government machinery cannot reach or doesn’t desire to reach. Thousands of readers and fans of the author have pushed this book to super stardom and I am one of those enthusiasts who bought this book to meet my curiosity over why the author and the book have reached a cult-like status. I never knew the author prior to reading the book and imagined him to be a very humble, kurta clad, cloth-bag bearing typical journalist from simple origins and level-headed beliefs. For the most part, Sainath comes up as that. Except that this work of his was a fairly well-funded (by Times Of India) and well-supported (by none other than Sitaram Yechury and N.Ram to name a few) piece of classic. It is also a soft push for supporting the Communist agenda and activist mindset of Leftist groups that while the journalist doesn’t imply in this book, has well showcased in the more than twenty subsequent years of his “rural reporting”. He of course, is one of the cleverest of that bunch (the likes of N. Ram and other good journalists) and also calls out in the book that he and journalists of his kind may be called so. This distorts the excellent storytelling in the book, especially if you smelled the Communist curry being cooked in the kitchen in a quiet corner of an otherwise excellent feast of great lavish food to consume for the reader. Sainath was forced to name and shame Manu Smriti at least once in a completely unwanted story line, pick a brahmin and call him one when exploitation of the really underprivileged happened while choosing to not call a brahmin by his caste when he or she did the regular good work in other chapters of the book and of course, going all guns blazing against the government at every single chance while keeping it simple when it came to certain members of the Congress party and the militant ultra-left extremists who somehow have a helpless story to tell for every rupee they charge through extortion. Now, setting that aside, the book is a collection of rural India based articles that were published in the Times Of India back in the 90s. 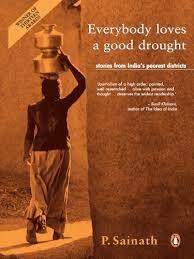 The reference to drought actually comes very late in the second half of the book, while it can be a metaphor for exploitation that happens in the name of development in the country. The rural India that Sainath chooses are of course the worst of the worse in terms of human development and I felt it was way too easy for someone to script a storyline there especially with the writing chops of Sainath and the geographical landscapes of remote land near good water or minerals. His reference to the “urban India” that doesn’t care about the poor rural belt in more than one occasion annoys someone who has seen both sides of the coin. The author should have been able to understand the simple fact that a good portion of his book covers exploitation of water by the mafia in several stories with a poor dalit or tribal affected by it, which by the way, is one of the biggest problems affecting any person of caste, creed, skin or other diseases even in the most urban of urban India. Yes, it is true that people with money get more access to resources. Yes, it is exactly what is happening in the rural areas of India too and his stories capture them while getting intertwined in how to sieve and squeeze the caste angle from it. It is however a blatant truth that caste as a political, economic and social system still exists in India and is certainly a stark reason for how limited resources are further exploited and barely shared among sections of the rural and ‘urban’ societies. The author’s fascination for the rural stories masks the blinders he has put for urban India and Indians overall. 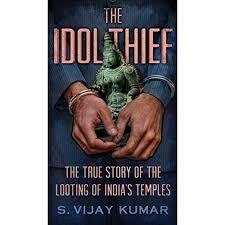 Kudos to the author for depicting the beautiful life of India’s “tribal” societies and cultures. I was proud to know that we had such wonderful diversity of people with phenomenal connection to nature and art. The fact that they are the most suffering lot does cause pain and a sense of rage at the inability of the system getting fixed. 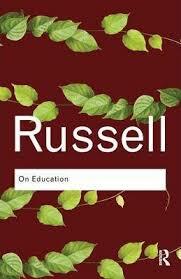 The book offers very few pointers on what can ail India. This of course would have been fine if he was just a reporter and was just writing an article in a newspaper to show the plight of exploitation and suffering. But, that was done and dusted in the Times of India newspaper. If it was a book, it should have at least touched on the subject of what to fix with some seriousness, even if it followed a Communist or Socialist agenda. Typical of an activist (which I didn’t imagine him to be before reading the book, then suspected of so while reading the book, and then eventually realized so after checking his ‘future’ state), he breaks the pots but doesn’t tell how to fix them or best, make them. He does have a giant passion for serving the under served and does mention the typical solutions of land reforms like in “we need land reforms”. Yes, well, isn’t knowing and doing the “how” one of the biggest plagues of this nation? Yes, the trader network exploits the farmer. So, what next? Shoot them all? what is their story? The trader-politician nexus touches all political parties in India. It is however, too harsh to expect the author to showcase solutions for all maladies. He knew it wasn’t easy. But, he knew it was easy to talk and that he did with the pen. I am however a fan of this author for the writing style which is riddled with sarcasms and pretty honest observations of what he is seeing on the ground. Journalists like him keep the exploiters of capitalism at bay. But, I hope he doesn’t mix his political leanings with them. As, if he does so, which in fact he is doing today, he can no longer humbly pretend to be just a “rural reporter”. He is just another exploiter, not of the materialistic kind, but of the mind – the fickle, emotional and angry mind of Indians.